travelers who have refused to participate, and experts who know a lot about loyalty programs and can weigh in on the question of when, if ever, these programs are worth it. I can hardly wait to read Mr. Elliott’s article, as I’m sure it’ll be delightfully skewed as always. Actually, I think Chris has already answered his own question when he said that elite status is meaningless. And the way he phrases the last part of the query, asking if these programs are ever worth it, seems to indicate the direction he wants to go with the article. I’m quite looking forward to yet another objective piece. Hoping me manages to find enough crazy people to interview that can help push his agenda (which, of course, is that premium passengers and frequent fliers are stealing, criminal, pigs). For a while, back in the late 90’s, early 00’s, I moved away from chain hotels (SPG/Hilton) to boutiques. For about the same price, the boutiques offered better quality than the name brands. Then, sometime in 2001/2002, all the chains had post September 11th promos. I couldn’t refuse the bait. It was fun to have SPG Platinum and Hilton Gold in those days. SPG was my favorite. Booking and Plat bonus + suite upgrades. Prices were affordable. These days 2008 – 2010, I’ve been saving money with Priceline. Airport hotels at $45 and downtown hotels at $85 +. Saves a lot of money. Status is nice. Money in the bank is nicer. All of the above is quotable… with permission. • more income for the airlines from baggage fees, E+ option, revenue seats, etc. • less competition for elites on upgrade seats, award seats and other freebies, and in chech-in lines. So cheer up folks! It’s another reason to have a good start this morning. I have a friend who works for NASA and thinks that it is wrong for her to benefit from the federal government spending your tax dollars to shuttle her around for work. It seems like a very altruistic, if not naive stand. It would seem to me that she just couldn’t be bothered. She is very book smart, so she tends to over-think things a bit. But, how could there possibly be harm in signing up for any program that you use – and if a benefit were to come along, without you having altered your travel spending in any other way – using that to your advantage. I am still of the mind that my time away from my friends and family and the work that piles up on my desk while I am out of the office on travel is the give and take for the travel rewards that I earn. On the other hand, I can see some element to Elliot’s point. How many times would a corporate traveler spend a little more on an airline ticket on his preferred airline than if he had just bought the cheapest ticket? Apply that logic across the board to hotels, car rentals, parking, etc – and it could add up to be a significant price difference. How about the corporate traveler who books a connecting flight instead of a direct flight – just so they fly on their preferred airline? How much does that cost in opportunity to do something else? Chris seems to deal mostly with leisure travelers so while I would certainly say they should sign up for programs, I don’t think telling them to chase after miles/points with programs would be solid advice. Most of these travelers don’t have the time or interest in chasing after points/miles either since they’re only traveling once or twice a year. But if you travel modestly or more then it certainly does make sense. I know I travel enough to get the occasional free flight or hotel room, but I don’t anticipate in the next few years traveling enough with any airline to get status. That makes it worth it to keep track of stuff and take advantage with miles earnings opportunities, but not be loyal to any one airline, hotel, etc. If he really believes what he’s spouting, he should be looking for is anyone who has reached 2P, 1P, or 1K status, experienced the benefits, and has actually actively “refused” to participate. This would be people who for some reason thought “Ugh! This is awful! I’m going to turn down upgrades, stay away from the lounges, and get in the long check-in and security lines. I’ve seen how this loyalty program works and I totally want to opt out of it.” Better yet, he should survey the big carriers to see how many people call them and ask to be _removed_ from their elite status level because they think the whole loyalty program is just so useless. I have a friend who refuse to even join the frequent shopper club at the local supermarket, for privacy concerns. To each their own. @lucky – so did you respond and offer your help and opinions? The key argument I see against loyalty programs is that it most “normal” travelers get no real return from their participation. Yes, they get miles, but that is just currency. Converting that currency into actual “things” they can use (like free travel, upgrades, etc) is ENORMOUSLY difficult for most regular people. The reasons for that difficulty are manifold – multiple programs, varying rules, people are busy, they lose logins, etc. The concept of earning points to redeem for free things is valid, but the execution is flawed for the vast majority of travelers. 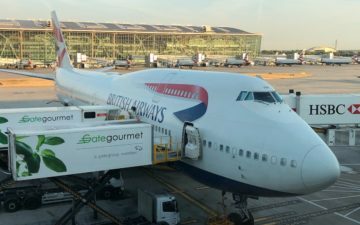 I think Chris’s point – for the majority of travelers who a) do not fly 20+ times a year, and b) have a busy life and don’t have the time/energy to understand their miles balances and how they can redeem them, that there is little value in participating.